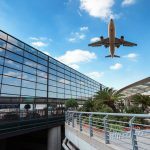 Milan Bergamo Airport BGY is located in the centre of one of the most industrialised and populated regions of Italy, with over 9 million inhabitants who can get to the airport within 90 minutes. Milan, Bergamo and Brescia are a few kilometres away from the facility, accessible by an efficient road system. Airport shuttle: There is no shuttle to Bergamo, only to Milan and it costs 5€ (9€ for return ticket); bus ticket is free for children under 4 years. The buses leave every half an hour (see the timetable) and the journey time is around 60 minutes. The stop is at Cologno Monzese. NOTE: Tickets must be printed and given to staff prior to boarding. Tickets on mobile phone devices or tablets will not be accepted. Local bus: The bus to the train station of Bergamo, (the bus number 1) runs from outside Bergamo airport to Bergamo train station situated in Piazza Marconi. The bus stops close by several of the hotels in Bergamo such as The Best Western and San Marco. The bus runs every 20 minutes and it takes around 15 minutes to get to the station. The price of the ticket is around 2€ and it is valid for 90 minutes. Once you buy the ticket, you are required to validate the ticket on the machines inside the bus. The tickets can be bought at the train station, newsstand or from the machine. There is also a possibility of buying a three-day ticket if you are staying for longer period. 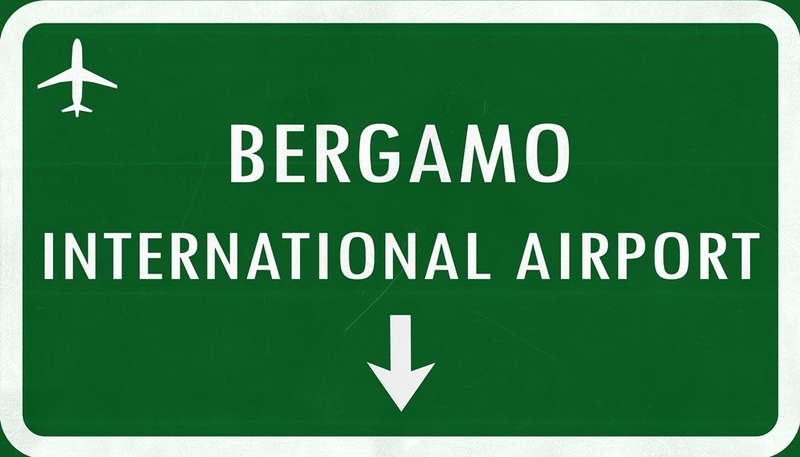 NOTE: The buses that run to the airport from Bergamo usually have a picture of a plane or have the word aeroporto displayed on the front of the bus. Train: Although Bergamo airport does not have a direct rail link, the train station in Bergamo is within easy reach of the airport and only takes 10 – 15 minutes on the Bergamo bus. Taxi services: During the summer season the queues can be quite long and you can easily wait up to thirty minutes, although when it is busy there is usually a security guard organising the taxis. If you are getting a taxi from Bergamo Airport then you should establish the price before you get in. Taxis from the airport to the Bergamo city centre cost around 20€ in the daytime and a few euros more in the nighttime, for the 8km journey. A taxi to Milan is a 57-km journey and will cost around 100€ in one direction. Transfer: If you are travelling in a large group with children it is advisable to book a private Bergamo Airport Transfer. The drivers will either wait for you holding a sign with your name or will meet you at the address you specified and will assist with your transfer. There are no supplements in case the transfer to Bergamo gets longer due to traffic jams, deviations or other unexpected events. Renting a car at Bergamo airport: If you prefer reaching and exploring the city by yourself, you should rent a car online or do it on the spot: most of car rental companies like Goldcar, etc. are situated in the airport area. Compare their pices and book your car online. From BGY to Brescia: There are up to 12 daily departures from Bergamo airport to Brescia. The journey takes 1h and costs approximately 12€. From BGY to Milan: There are many departures a day from Bergamo airport to Milan. The journey time is 1h and one single ticket costs approximately 5€. A: No, the bus lines are very frequent (every 20 minutes), but in case you missed them all, you can always call a taxi. Avoid getting overcharged by booking your taxi in advance. A: Sure thing. There are two hotels in the airport area. Right across the airport you have Hotel NH Orio al Serio and 57ResHotel Orio al Serio and both of them offer free Wi-Fi, free breakfast and free parking. Q: I would like to spend one day in Bergamo in between flights. Is that possible? A: Yes, of course. The best way to do so is to take the bus (line nr.1) which takes you directly from the airport to the city centre and it is the most convenient way of transportation. If you don’t want to carry your luggage with you all day, simply leave it in the luggage storage at the airport for the price of 3 – 5€, depending on the weight. The service is situated at the arrival area. Q: I am continuing my journey outside Bergamo. 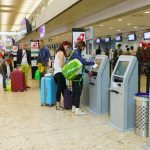 Are there any direct lines from the airport to other cities? A: The only direct lines from the airport to other cities are to Milan and Brescia, by shuttle bus. However it is possible to visit other cities, such as Venice, Florence or Rome, departing from the train station. Check all the desired routes on GetByBus. We booked the room in Bergamo and we have an early flight. Is there any public transportation at 4 AM or we have to take a taxi? The earliest departure is at 5:00, so you will need to take a taxi to your accommodation. 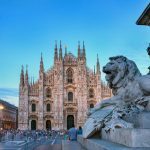 Do you know if we can buy the “Io viaggio Lombardy” 7 day travel pass at the airport or do we need to buy it at the train station in Bergamo? (we are travelling to Iseo). Also, do you know if we can use the pass on the airport bus? Thanks for that information – that’s great. 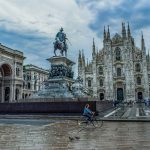 First you need to go to Milano Centrale by shuttle bus from BGY and then catch metro M3 to Milano Affori Railway Station. From there take regional train R16 (900647 Canzo-asso) and exit at railway station in Erba (Stazione Trenord). After that, take bus line C49 to Albavilla. My departure is at 6 am. What time I should be present in the airport? It is recommended to be at the airport at least one hour before the flight.